We were hosting an early Christmas celebration a few weeks ago with our dear friends, and someone asked the group to share our New Year's Resolutions. I've always been staunchly opposed to making resolutions; I believe that if you'd like to change or accomplish something, you should start today, and strive each day to live your best life. But as she spoke about her goals in the coming year, which were less about hitting the gym and more about being intentional in her relationships, I was struck by the power of a new year to transform our perspectives. I've been away these last few weeks, and really appreciated the shift that time has given me. I wasn't anxious about whether or not a photo would be re-pinned, or stressed to get everything in order for the coming week. I found that I missed sharing beautiful images with my wonderful readers, and yearned for the creative outlet this place brings. What felt like a distraction at the bottom of my to-do list (to say nothing of the pressures of blogging in the midst of wedding planning!) 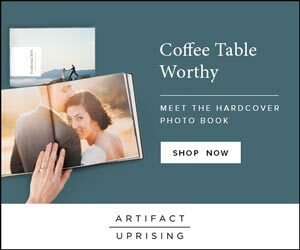 quickly became a welcome project, and I am so excited for everything this year will bring: beautiful inspiration on the blog, exciting new projects, renewing our wedding vows. 2015, I can't wait to do this thing with you. Tell me, what are you looking forward to in 2015? 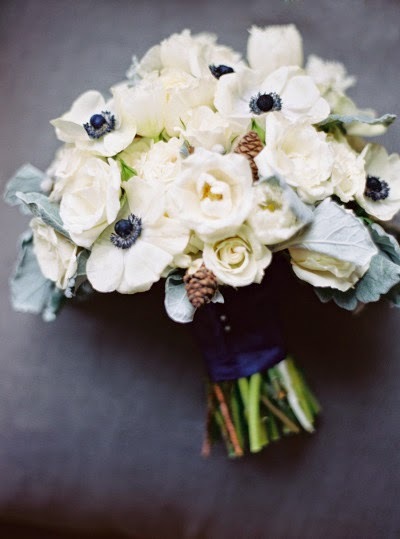 Image by Brumley & Wells, wintery bouquet by Love this Day Events. What an exciting year for you. I understand how you feel about blogging pressures - enjoy all your special moments. This year, I haven't made any resolutions but like you, I'd like to continue to grow my relationships with friends and family. It's all too easy to take that for granted so that's something I'd like to be mindful of. And welcome back! It feels great to take a little break, doesn't it?